Olive May was a prolific quilter. I am happy to be able to share a few of her quilts today as well as some of her story. I never knew Olive, but I think she's a kindered spirit. Olive was born May 2, 1897 in Pittsburgh, PA. Her grandparents immigrated to the United States in the mid-1800s from Germany. Her father worked in a print shop. Her mother was not literate so her father read the newspaper aloud each evening. From these humble beginnings came a family who valued education. Olive had two much older brothers, Harry and Theodore who were 10 and 8 when she arrived. The boys were known to torment her, throwing mice into the outhouse when she was there at night. Harry became an architect and designed the house Olive and her husband lived in. Theodore was a theatre director, taught at Carnegie Tech and painter later in life. Olive loved the color purple. One of many heirlooms left to her family was a set of amythest stemware. Olive was also artistic. She also attended Carnegie Institute of Technology. While studying piano there, she was invited to the Mellon (Banking Family) family home to provide live music for their daughters' interpretive dance lessons. Olive told her family how a fancy car and driver would arrive at the school and drive her and the dance instructor to the Mellon's enormous house. There she played Debussy and Chopin while the girls learned avant-garde dance. She went on to teach piano, teaching into her 70's. Olive May married a trombone-playing electrical engineer in 1921, she was 24 years old. The couple moved into the house her brother designed. It is believed most of her quilts were hand stitched over a 40 year span in this home. Her first husband passed away when Olive was 65. He was entertaining at a banquet, telling jokes, when he suffered a massive fatal heart attack. With the loss of her husband, Olive moved in with her daughters family. They have many fond memories of Olive. She hand quilted in a hoop as she sat in a favorite chair. When her granddaughter joined her for lunch in her room they would pretend to take a train trip. Sitting in their 'dining car' they would watch the scenery out the window periodically adding whistle noises. Olive was known as Gam or Gammy to her grandchildren. One of her quilts is marked this way. Olive had a studio grand piano and entertained the family most nights after dinner. The family had two pianos and duets were common. Olive remarried in 1967. Her second husband was also artistic. He designed the pink tulip quilt she made. 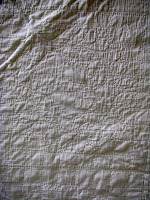 He also assisted her in how it should be signed with a contemporary font - 'GAM' is inked on the quilt. She chose to also add her own cursive signature 'Gammy' - embroidered in green thread on the white background of the quilt. Olive passed away in 1983. In her 86 years, Olive May completed more than 30 quilts, all hand appliqued and hand quilted. She did beautiful handwork, with tiny wonderful stitches. She hand quilted in a hoop while sitting comfortably in a favorite chair. Her quilts were distributed to friends, family, and the Rocky Mountain Quilt Museum in Golden, Colorado. The remaining quilts need homes. I never knew Olive May, but I know I would have liked her. I am helping her family find homes for the quilts. They are listed in our Etsy Shop, Collector With a Needle, links are also below. If you know someone looking for a handmade vintage quilt please help Olive May's quilts find good homes. (The shop is divided into two sections: One with our patterns, the other with vintage treasures. Feathered Star 82" x 86"
I visited the new exhibition at the Rocky Mountain Quilt Museum, "Twice as Nice". It is a great exhibit, so if you have a chance GO! To tempt you, enjoy these highlights. 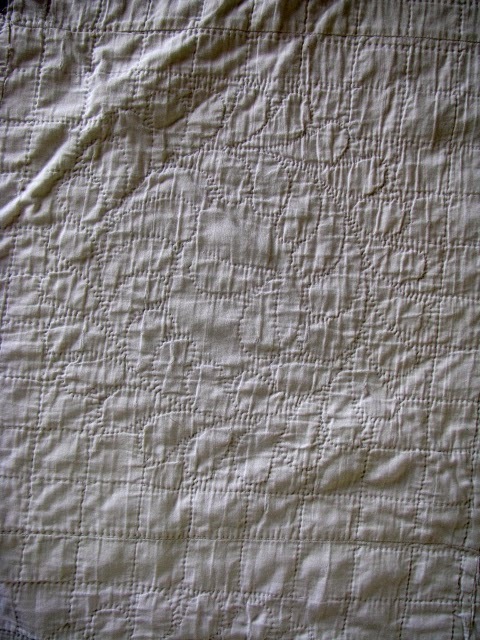 Detail picture of a Feathered Star quilt displayed in a case. Made by members of the Mill family, started in 1850, New York State. First names of the Mill family are unknown. The case holds the quilt folded and protected. You can see the wonderful texture created by the quilting. You can see a bit of the brick wall behind the case. This is one of my favorite quilts in the exhibit. 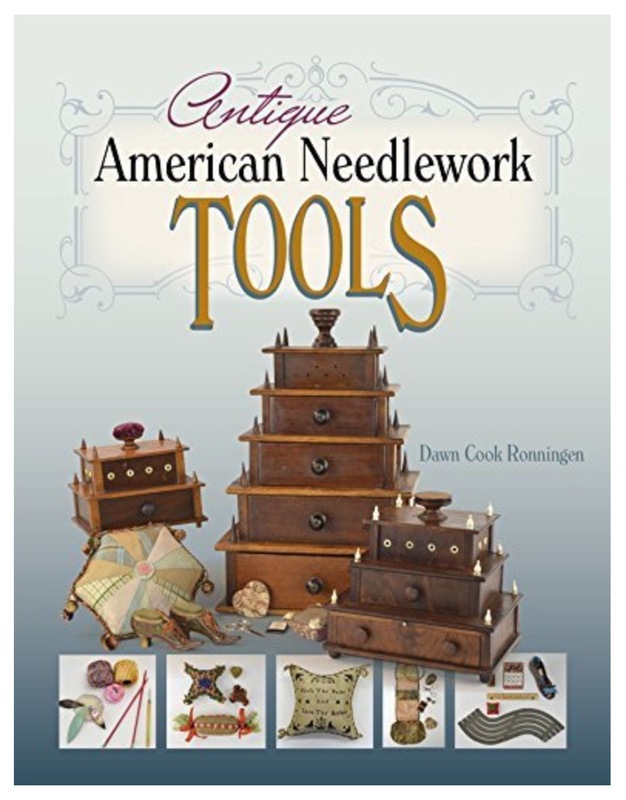 I want to make one in indigo and white so it was wonderful to see the hand quilting - which is fabulous! I think it is fabulous against the brick wall. This is a detail of the hand quilting on the Carpenters Square. Another detail of the hand quilting motifs. This applique motif is another example with wonderful hand quilting. The applique is by machine. Detail of an applique block. Note the details in the corner stones and sashing. Hand echo quilting around the motif. Note the tiny machine stitching on the applique. Sorry for the angle - this was in a smaller area of the museum. 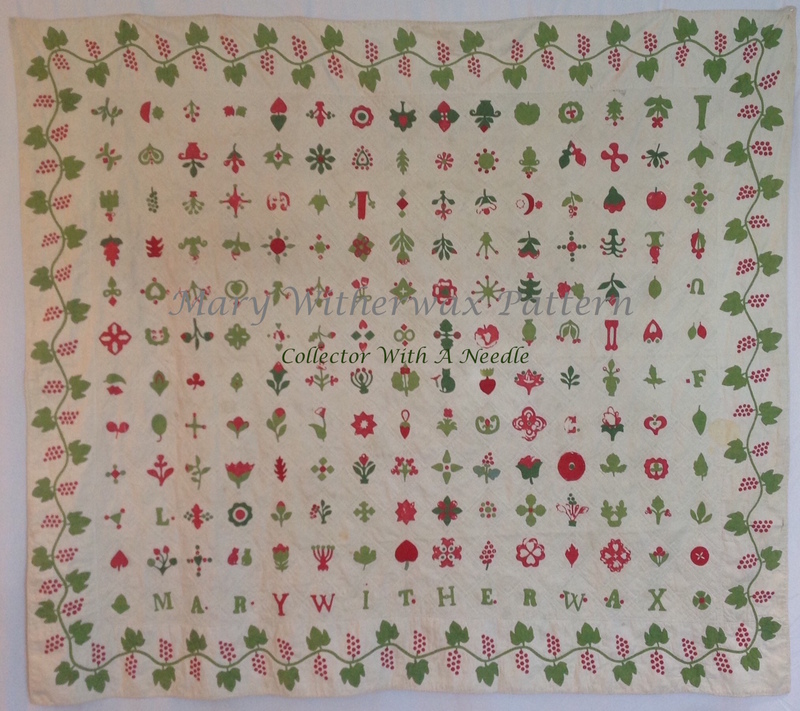 Eugenia Mitchell made this quilt after seeing the motif inside the cover of the book, "Creek Mary's Blood" by Dee Brown. She hand quilted teepees, fish, deer, bows and arrows, buffalo and other animals in the blocks. This is one of the first quilts you see entering the exhibit. Beautiful piecing and quilting make a wonderful greeting. Check the change in scale in the quilting. This classic two color triple irish chain is precious. Look close at this detail shot, in the alternate block the corner square is appliqued. A nursing home resident, known only as Anna, was said to have made this quilt for her hope chest. After Anna's death, Eugenia Mitchell traded 10 lap robes for the quilt, which she repaired and rebound. Where would the quilt be today if not for that trade? The donors purchased the quilt from an antiques dealer in Omaha, Nebraska. The maker is unknown but the origin is thought to be Alliance, Ohio. Detail of the hand quilting and border. The exhibit has many more two color quilts, I just chose a few to share here. Click on the photo of the exhibit poster for the story of this quilt. Short version...garage sale find, the quilt is hand stitched and hand quilted of 18,124 half inch hexagons. The family of the antique dealer who found the quilt has loaned it to the museum for display. This photo does not do the quilt justice. Ellen L. Austin (Also known as Aunt Ellen Austin) made the quilt based on the small 'yarn picture"in the 1945 McCall's Needlework magazine. With help from her mother, daughter and granddaughter, Aunt Ellen completed the quilt in five years. She entered it in a contest sponsored by the Detroit News, and it won second prize. In case you aren't in the midst of the current hexagon resurgence, this is a detail picture. My hand model B, graciously put her finger tip on the hexagon so you can see the scale. Each hexagon is individually hand quilted. Last but not least is the Color Journey exhibit. 32 quilts designed and constructed by National Quilting Association Certified Judges. It is a row of quilts with a line consisting of 12 hues of color visually connecting each quilt. The photo is of a portion of the installation. I hope you can visit the museum soon and enjoy all of the quilts in person. I don't have a state flower/bird quilt. But I do have a couple block sets. This is Minnesota's Lady Slipper embroidered on a light ground fabric. There's a new book available, "State Bird and State Flower Quilts"
STATE BIRD AND STATE FLOWER QUILTS contains all-new information coming from research done by the author, Rose Marie Werner of Dundas, MN. Rose Marie is an independent researcher of 20th Century quilt designs and patterns. 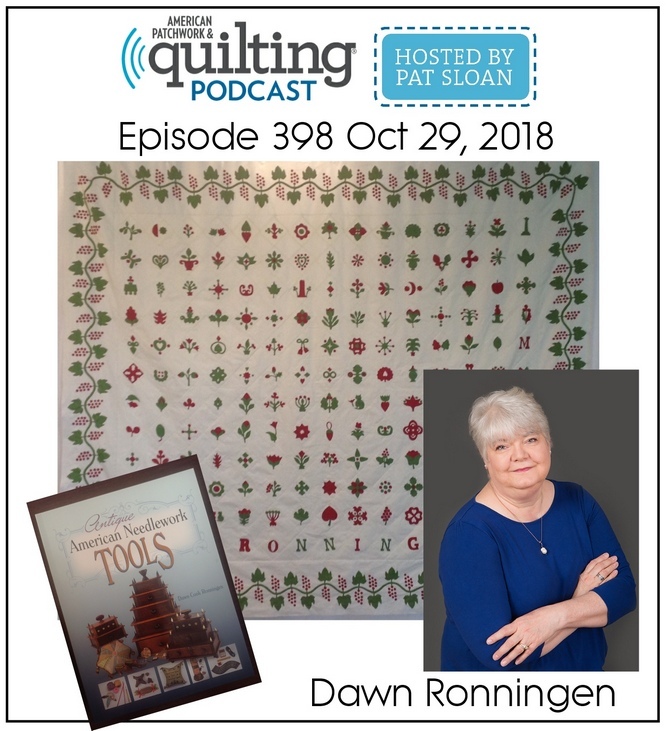 She compares thirty seven different sets of bird and flower quilt blocks. This book also includes the history behind state birds and state flowers and information on the birds and flowers chosen by each state. You can order a copy HERE or on Amazon. My second set of McKim state flower blocks was stitched on a darker ground. Included in the set are all of the newspaper clippings for the original patterns. 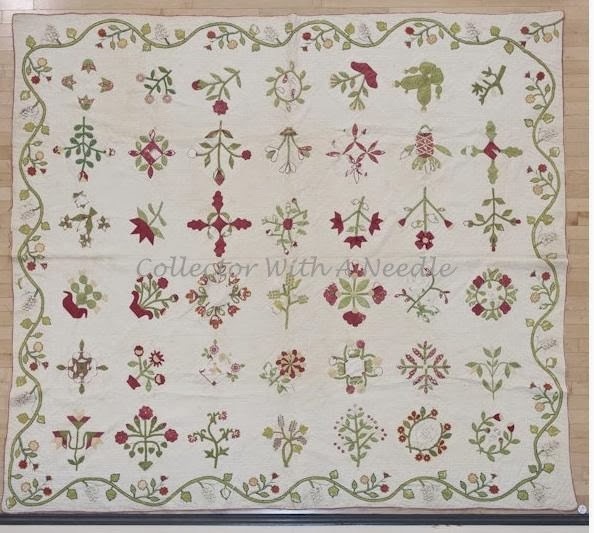 Makers are advised not to use a white ground fabric since so many of the flowers are white. They are also instructed to use carbon paper to transfer the design onto the fabric. My set of McKim Studios State Flower patterns were published in the Kansas City MO Journal Post Newspaper in 1932. I owe a long over due thank you to JULIEROSE. We had a little mix up with comments, readers with the same name and I think a husband was thrown into the mix! Anyway, Julierose graciously sent me a goodie box over flowing with things I love! Very thoughtful and I extend a heartfelt thank you! I'm about to settle in for some long over due hand quilting.